FBTO is an online insurance company. Yet there are customers who still receive information by post. 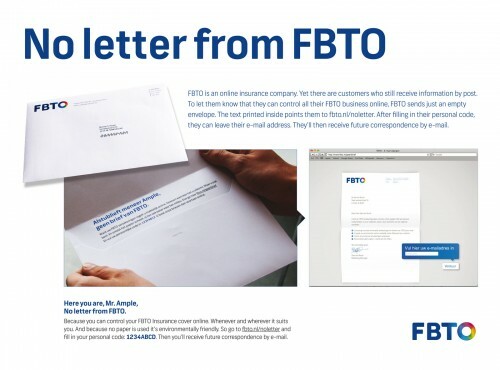 To let them know that they can control all their FBTO business online, FBTO sends just an empty envelope. The text printed inside points them to fbto.nl/noletter. After filling in their personal code, they can leave their e-mail address. They’ll then receive future correspondence by e-mail.